The Little Law office has been in the Stroh Ranch Office, Parker Colorado, since January 2011. Carla D. Little, received her Law Degree from The University of Denver in 1996 and received her L.L.M. in Estate Planning and Elder Law in 2012. Carla has been practicing in the area of Estate Planning for over ten years. Her approach with each client is based on integrity, advocacy, and understanding. She works zealously in representing you, always remembering that you are a person and not a number. In Estate Planning and Asset Protection, she provides you with a customized estate plan that will meet your unique and individual needs. She provides a full-service law firm for your end of life planning, including: Wills, Trusts, Medical Directives, Financial Powers, Guardianship, Charitable Giving and Advanced Estate Planning. 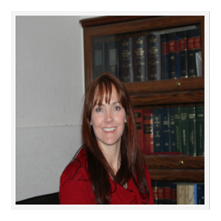 Carla also provides legal services in Elder Law, Business Formation and Succession, and Probate. Carla knows that protecting your most important assets goes far beyond your bottom-line, and we highly recommend Carla.